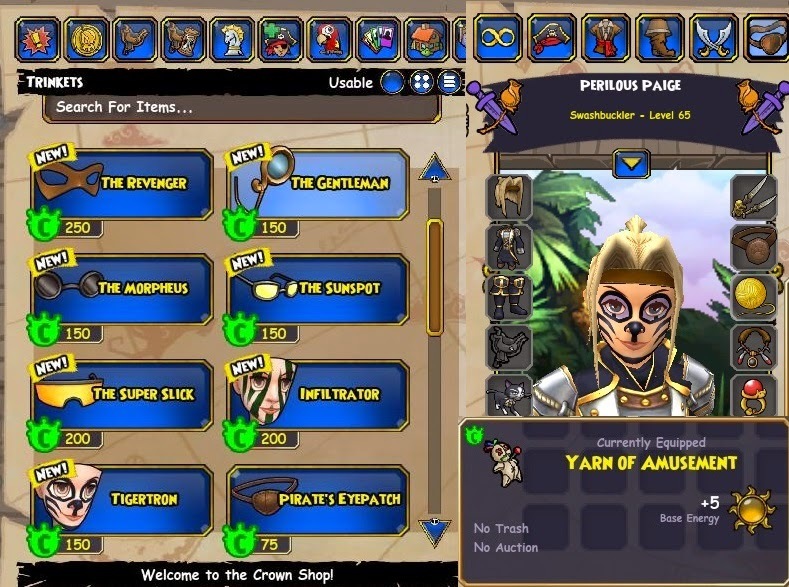 Paige's Page: Pirate101 Sept 2014 Update Brings a Special Surprise. 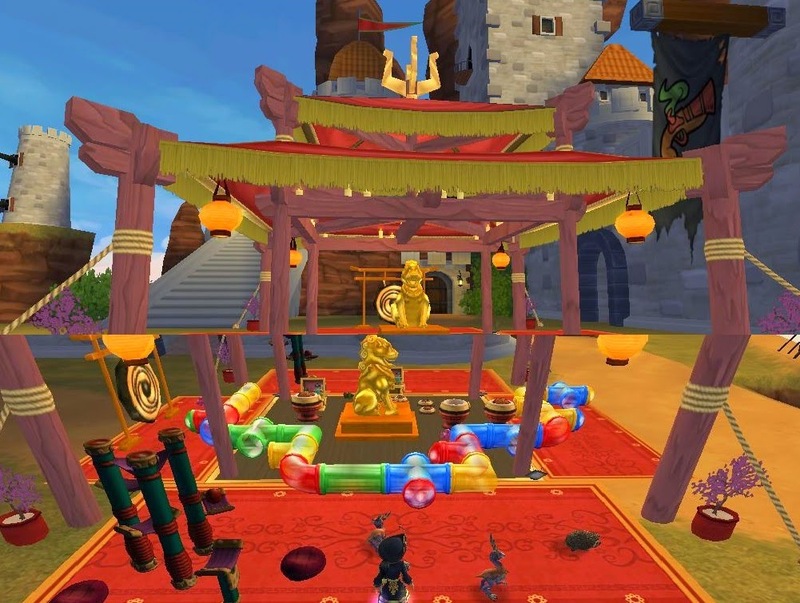 Pirate101 Sept 2014 Update Brings a Special Surprise. Not only does this pack bring new and exciting pets but new companions too? 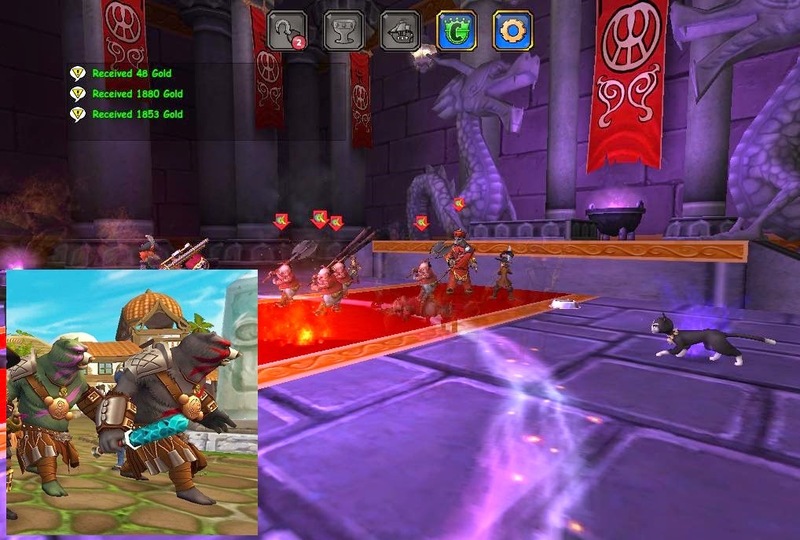 There are Beastmaster companions for every class. 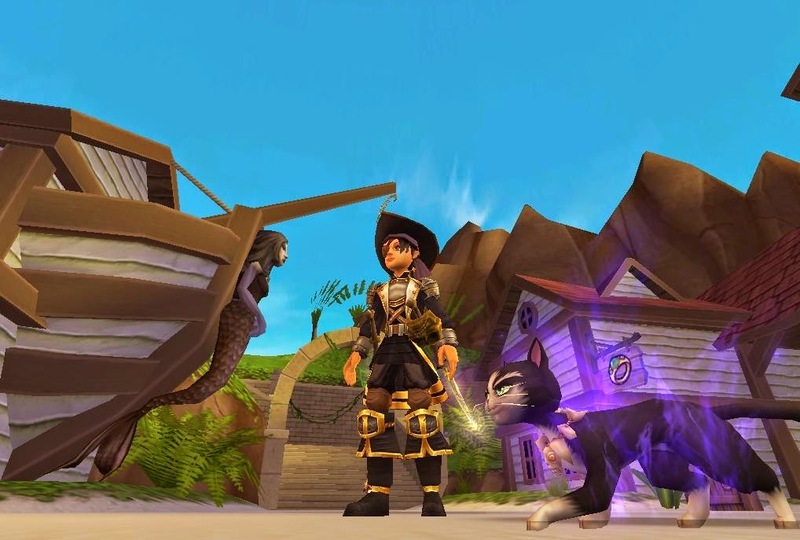 Beastmasters can summon the new pets into battle with you and I was so excited to receive the Witchdoctor companion. Khord summons the heck kitty, I was so excited the first time I saw the kitty summoned and boy can this kitty fight. I couldn't wait for him to summon the kitty again. Did I mention this was a pack? The grizzly pack also comes with furniture! Not only furniture but pet furniture! All the tents around Circus Maximus, pet toys, interactive pet items, pet food dishes and cat trees/scratchers. There's even habitrail set up, these pieces connect together. I do wish the pets went inside them though. This pack even comes with energy gear, check out the yarn ball I have equipped. This update also brings: new masks , face paintings, hair styles and so much more to the crown shop. Don't forget to check out the vendors you never know what new and exciting accessories they may have. See ya in the Skyways! I LOVE the new update, merely for the Revenger mask :D Honestly, I tried it on, picked out some close and Ashley looks better than ever! Those cat scratching posts would be awesome for my leopard room!